70 Years and Still Going Strong! Lifetrack was established in 1948 as Saint Paul Rehabilitation Center (SPRC), responding to the need of individuals disabled by polio and by military service in World War II. In 1949, it launched a therapeutic preschool in 1949 to address the cognitive and emotional needs of children receiving therapy. Throughout the 1950s, SPRC developed the two major program areas of rehabilitation therapies and employment services with the launch of the Therapeutic Child Development and Vocational Programs. Through the 1960s, SPRC expanded its employment services to individuals with disabilities and began an employment services program for welfare recipients referred by Ramsey County. In 1963, it created Packaging First, a production facility to provide people with severe developmental disabilities a unique source of employment. In the 1970s, the organization added services for Deaf and Hard of Hearing individuals. In the 1980s, when the state mandated that public schools provide therapeutic services to disabled children, the SPRC transformed its preschool into Families Together, an early intervention program that supports highly stressed, abused, or neglected children living in poverty. It also added services to meet the needs of the homeless, immigrants and refugees, and people with mental illness were added. In the 1990s, SPRC became the largest private provider of employment services to people with disabilities or who are disadvantaged in the East Metro area, becoming a site for the Minnesota Family Investment Program, which continues to this day. In the early 2000s, the St. Paul Rehabilitation Center became Lifetrack Resources, Inc., and launched statewide services for families of children diagnosed as deaf or hard of hearing, as well as our home visiting services. 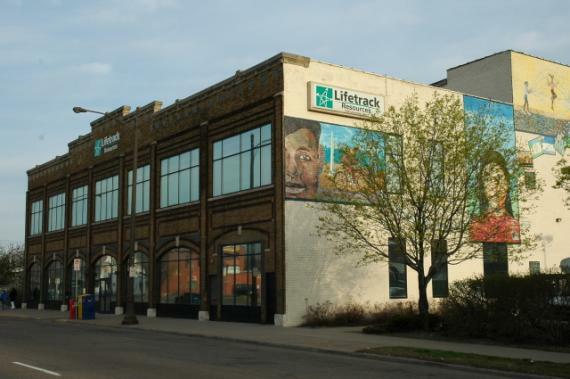 In 2010, Lifetrack's acquisition of the Working Family Resource Center let us bring together complementary services and resources in the community through our Life Balance Solutions program, which gave families access to a greater spectrum of services. In 2013, Lifetrack Resources shortened its name to Lifetrack.